Crucial Environmental specialises in all forms of asbestos services, including the dismantling and removal of asbestos guttering. From our southern and northern offices, we can carry out guttering removal across the country – everywhere from London and the South East to the Midlands and the North. If you would like to learn more, please contact us today. Removing asbestos guttering is a job that should always be carried out under strict conditions, in order to minimise the risk of asbestos exposure and to avoid any harm from asbestos fibres that are released during the process. The safe dismantling and removal from a building, will ensure a safe environment to all concerned, not just our contractors but to those in the vicinity during and after the job is complete. Crucial Environmental operatives are trained at working at height, and also PASMA trained for the use of mobile aluminium towers. How can I tell if guttering contains asbestos? Unfortunately, it is not always possible to tell from observation whether asbestos is present in your guttering. If you are concerned about guttering but aren’t sure what the material is made from, it is necessary to have an asbestos survey carried out to establish the presence of the material. At Crucial Environmental we offer comprehensive sampling and testing to confirm or dismiss the possibility. How should I remove asbestos guttering? If you are certain that asbestos is present in your guttering you may believe that removal is the best option. It should first be stated that this may not be the case, as it may be appropriate to leave the asbestos in place if it is in good condition. However, if you are sure the asbestos needs to be removed you should not attempt to carry it out yourself unless you have significant training and experience working with asbestos. Disturbing asbestos can a health hazard. Is asbestos guttering a risk to my health? As with all forms of asbestos, guttering that contains the material is only usually dangerous if it is in poor condition or is at risk of being disturbed. 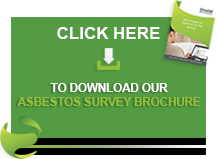 If you have an asbestos survey and it establishes that the asbestos is in good condition, the best advice may be to leave it alone. If you would like more information on asbestos guttering removal or you want a free quote from Crucial Environmental, please get in contact with us today. Our team has years of experience working with asbestos and can carry out all the necessary works to remove your asbestos guttering safely without the risk of exposure. Call us today on 01903 297818 to speak to a member of the team or email info@crucial-enviro.co.uk and we will get back to you as soon as possible.